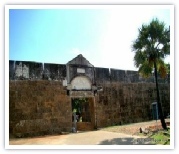 Vattakottai, a granite fort six kilometres north-east of Kanniyakumari cape, forms the terminal of a line of ramparts known as the South Tranvancore lines built by Marthanda Varma to serve as defence for Nanjil Nadu. 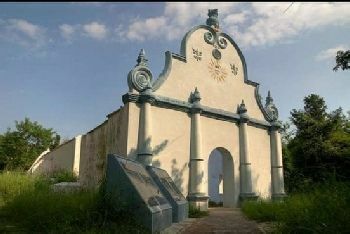 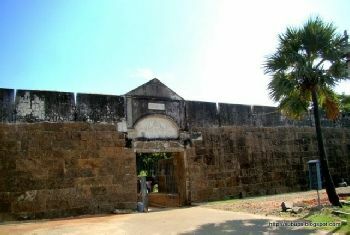 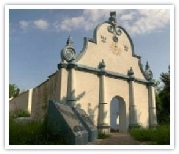 The fort which was built with mud originally was dismantled and reconstructed with granite by Maharaja Marthanda Varma. 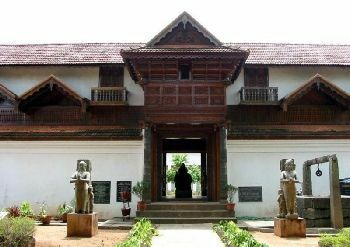 The fort was rebuilt in the reign of Marthandavarma, the Venad King. 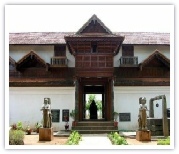 Under the supervision of De Lannoy, the Belgian General, who served as the Chief of the Travancore army.